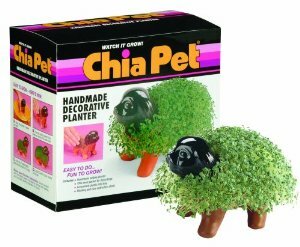 Growing up in America in the 1980’s, if you heard the name “chia” you would automatically associate it with Chia Pets, which were terracotta pots shaped like animals. The concept was to rub moistened chia seeds on the pot and after awhile, they would sprout and grow chia “fur” on the pet. I never thought that decades later I would see chia seeds in my kitchen again. 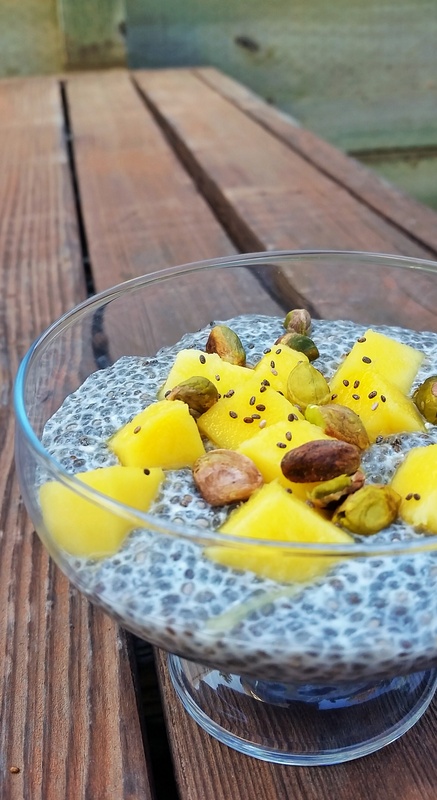 Thanks to their high nutritious content (being packed with fiber, protein, and omega 3 fatty acids among others), chia seeds’ popularity grew and are a household name once more. I especially love them in smoothies or my favorite: chia seed pudding. So easy, delicious and nutritious…try it for breakfast today! Ch-ch-ch…Chia! Add in bowl the night before eating: Chia seeds, almond milk, vanilla and agave if using. Mix well. 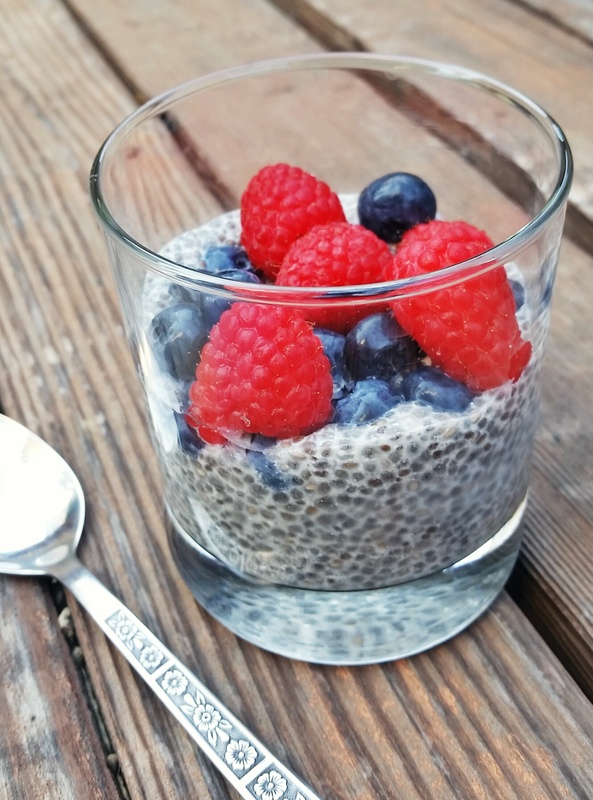 In morning, mix chia pudding and top with any topping you like such as berries or nuts. Notes: Makes 1 serving. Easy to double. Great make-ahead recipe for busy mornings.